When you think of “pot pies” you probably think of something savory, with colorful vegetables and chunks of meat swimming in a thick and hearty gravy. However, there’s no reason that a pot pie can’t be sweet, and with that in mind I’d like to propose this Berry Pot Pie recipe: a mashup on the traditional savory pot pie with a sweeter filling. In this case, the ‘pot’ in pot pie refers to a single-serving ramekin in which a pie filling is baked. 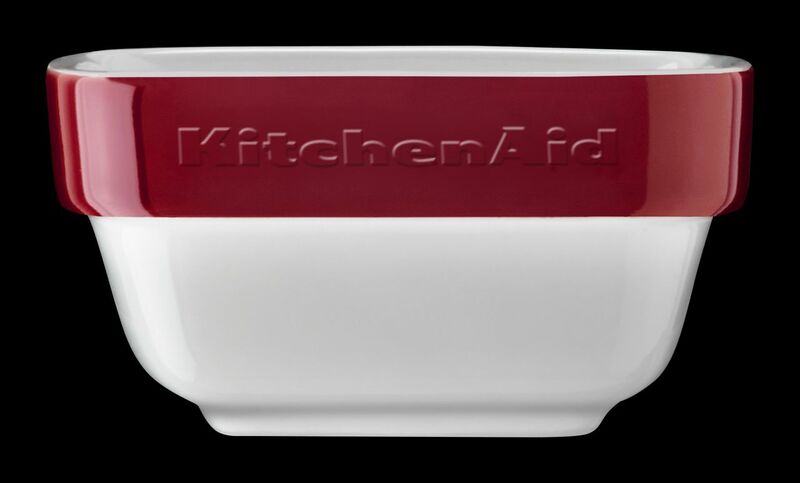 I particularly like the ones from my KitchenAid® Ceramic 4-Piece Stacking Ramekin Bakeware Set, which are oven safe, perfect single-portion size, and even come in a cheerful red to color-coordinate with the filling. 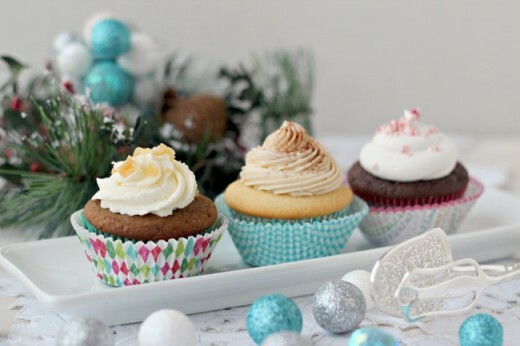 I also used my KitchenAid® 5 Burner Electric Double Oven Convection Range for this recipe. I love this appliance because the top oven preheats very quickly, which is perfect for impatient bakers like myself. Plus, did I mention they are single-portion size so you don’t have to share? Everyone gets their own adorable little pie. For the filling, I used a mix of strawberries, raspberries, and blackberries for a well-rounded berry flavor. But this recipe is incredibly flexible, and as long as you use 20 ounces of berries in total, you can use any combination of berries you like. You can also substitute frozen berries if fresh are out of season, but if your farmers’ markets are anything like mine this time of year, fresh berries are bursting with flavor. Take advantage of it while you can! Aside from the fresh berries, the muscovado sugar is my favorite addition to this recipe because of its unique depth of flavor. Muscovado sugar is a dark, unrefined sugar that’s full of natural molasses. These days I pretty much use it in any recipe that calls for dark brown sugar; it’s that good. You can always substitute dark brown sugar or granulated sugar with a few teaspoons of molasses mixed in if you cannot find muscovado in your local grocery store. I’ve eliminated the bottom crust from this recipe, because the filling would be overcooked long before the bottom crust would be done baking. But have no fear, flakey crust lovers, because these little pies get topped with a buttery, ultra-flaky layer of puff pastry. You can decide to go with a basic square crust topper or a lattice crust design. To make the basic square crust, simply cut the rolled out puff pastry into 3 1/2-inch squares (slightly smaller than the size of your Ramekins). Use a small shape cookie cutter to cut a vent from the center of the square. Alternatively, for a lattice crust, use a rotary cutter to cut the puff pastry into quarters, then cut the quarters into 1/2-inch strips of pastry. Arrange 5 strips of pastry, and fold every other strip back on itself. Lay another strip of pastry crosswise across the unfolded strips, then unfold folded strips so they sit on top of the horizontal piece. Fold back alternating strips, and lay another strip of pastry crosswise. Repeat until you have a 5-strip-by-5-strip woven piece. Trim edges so it is slightly smaller than your ramekins. You should have enough puff pastry for 4 lattice crusts or 8 basic square crusts. Place the crusts onto a parchment paper lined Half Sheet Pan from your KitchenAid® Nonstick Quarter Sheet and Half Sheet Pan Set and place in the freezer for 10 minutes. The pastry takes longer to cook than the pies themselves, so it needs a little head start. Pre-baking the pastry helps it stay crispy all over (otherwise the bottom gets soggy when it touches the berry filling). Remove the crusts from your freezer, lightly brush the tops with egg wash, then sprinkle with turbinado sugar. Place the crusts into your 400ºF preheated KitchenAid® Convection Range and bake for 10 minutes, or until puffed and just starting to brown. The Even-Heat™ True Convection in this Convection Range ensures that your pastry will cook evenly at the desired temperature. While the pastry is baking, I used the 1.5-Quart Saucepan from my KitchenAid® Stainless Steel 8 Piece Cookware Set to cook the filling for this Berry Pot Pie. 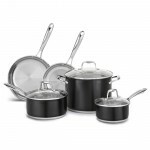 I just love the way these pans look, and they are incredibly durable in the kitchen. The Convection Range has a 10″ Even-Heat™ Ultra Element on its cooktop surface, which helps keep the heat consistent during this process for more precise cooking. The filling is thickened with a fool-proof combination of flour and cornstarch. Cook the filling until the berries release their juices and thicken, about 10 minutes or less. Now you’re ready to assemble your pot pies! Place the Ramekins onto a parchment lined Half Sheet Pan, to catch any spills during the baking process. Then, pour the filling into your Ramekins. Next, top with your crust. Finally, place the Half Sheet Pan into the upper oven of your Convection Range. The pies are done when your filling starts to bubble over the edges. When it’s ready, remove from your Convection Range. The Half Sheet Pan may be heavier with the Ramekins, but have no fear! The SatinGlide® Rack in this Convection Range makes unloading a breeze, even with large or heavy dishes, helping you to more easily remove pans from the rack. Flaky pastry and warm triple berry filling: what more could you want? Ok, maybe a generous scoop of homemade vanilla bean ice cream. In my mind, no fruit pie is complete without a scoop of cool, creamy ice cream. Be sure to share your take on this Berry Pot Pie recipe with us on Instagram using #MadeWithKitchenAid for a chance to be featured. 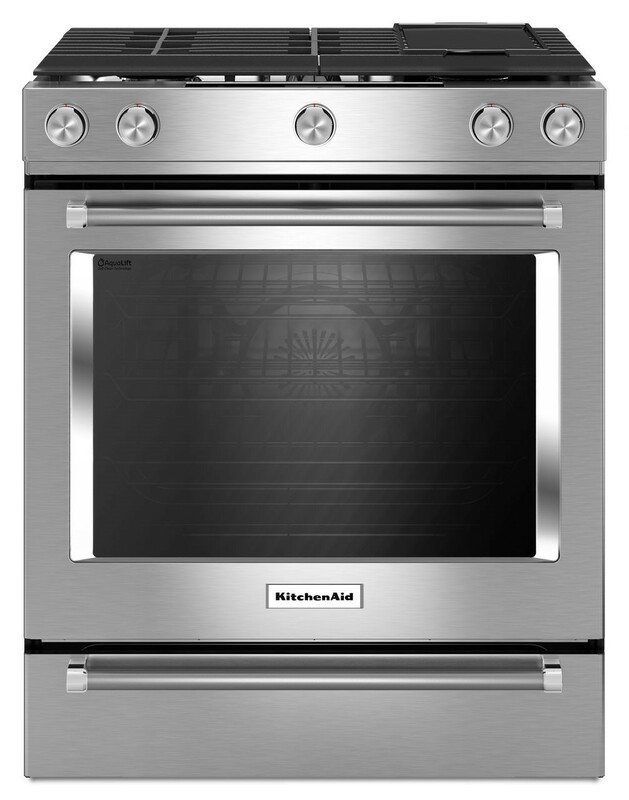 Preheat your KitchenAid® 5 Burner Electric Double Oven Convection Range to 400ºF. 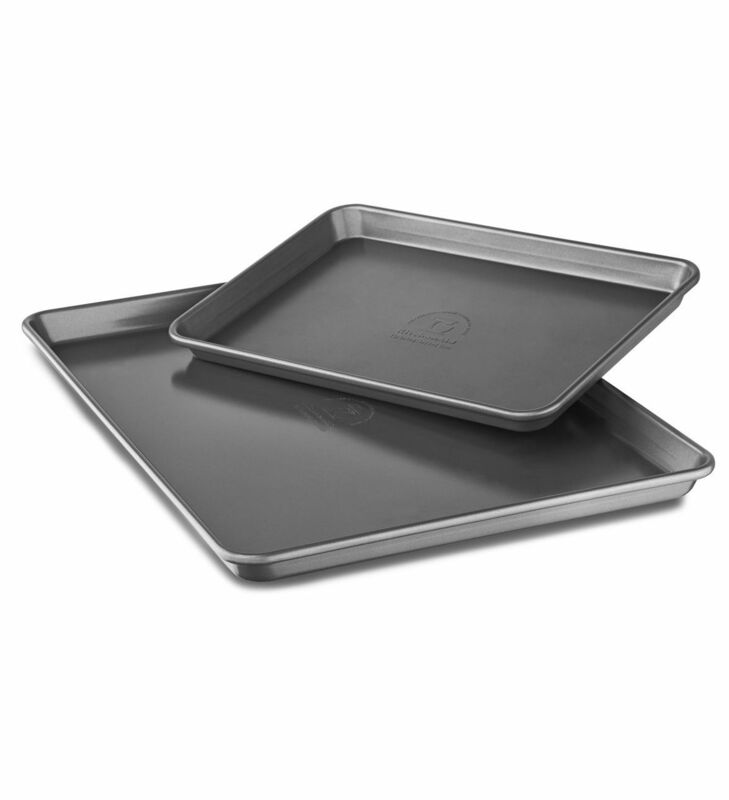 Line the Half Sheet Pan of your KitchenAid® Nonstick Quarter Sheet and Half Sheet Pan Set with parchment paper. Lightly butter the 4 Ramekins from your KitchenAid® Ceramic 4-Piece Stacking Ramekin Bakeware Set and set aside. Roll out puff pastry on a lightly floured surface until creases are smooth and pastry is slightly larger than it originally was. For a basic square crust, cut into 3 1/2-inch squares (slightly smaller than the size of your Ramekins). Use a small shape cookie cutter to cut a vent from the center of the square. You should have enough puff pastry for 4 lattice tops or 8 basic square tops. Arrange puff pastry pieces on prepared baking sheet and freeze for 10 to 15 minutes. In a small bowl, whisk together sugar, muscovado or brown sugar, cornstarch, flour, and salt until evenly incorporated and set aside. Remove puff pastry from freezer. Lightly beat egg with 2 teaspoons of water. Lightly brush tops with egg wash, then sprinkle with turbinado sugar. Bake for 10 minutes or until puffed and just starting to brown. 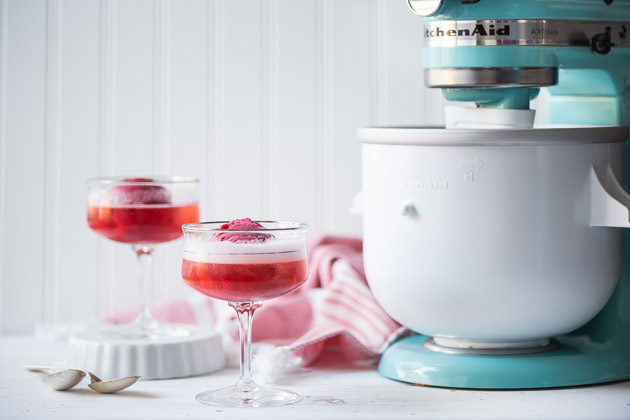 Remove from your KitchenAid® Convection Range and carefully transfer to a wire rack. 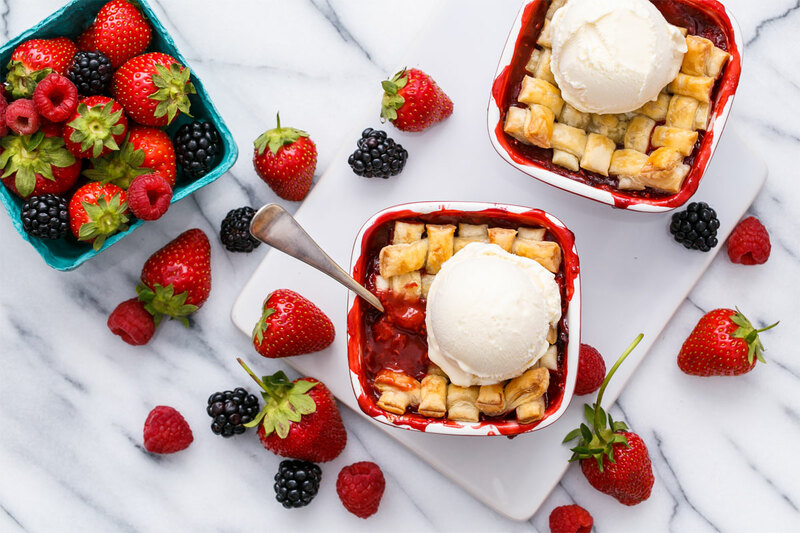 While the puff pastry is baking, combine strawberries, raspberries, blackberries, and lemon juice in the 1.5-Quart Saucepanfrom your KitchenAid® Stainless Steel 8 Piece Cookware Set and set over medium heat. Pour sugar mixture over fruit and toss until evenly coated. Continue to cook over medium heat on the cooktop of your Convection Range, stirring regularly, until berry juices are noticeably thickened and mixture begins to bubble. Remove from heat and divide among buttered Ramekins. Arrange on Half Sheet Pan (keep the used parchment paper there to protect the baking sheet from molten berry overflow). 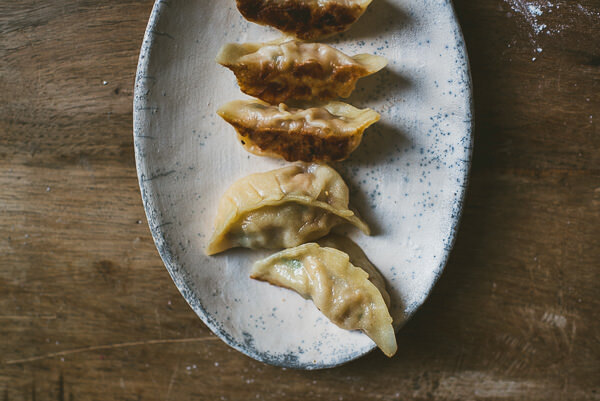 Top each Ramekin with a pre-baked piece of puff pastry. Bake pot pies in your Convection Range for 13 to 15 minutes or until tops are golden brown and juices are bubbly. Remove from heat and let cool for 15 minutes before serving warm with homemade vanilla ice cream.